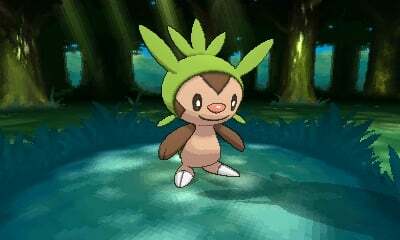 Game Freak followed up on last week's announcement of Pokemon X and Y with new screenshots. 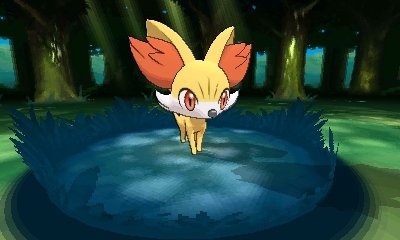 These screenshots focus on the three new starter Pokemon that players can choose from. 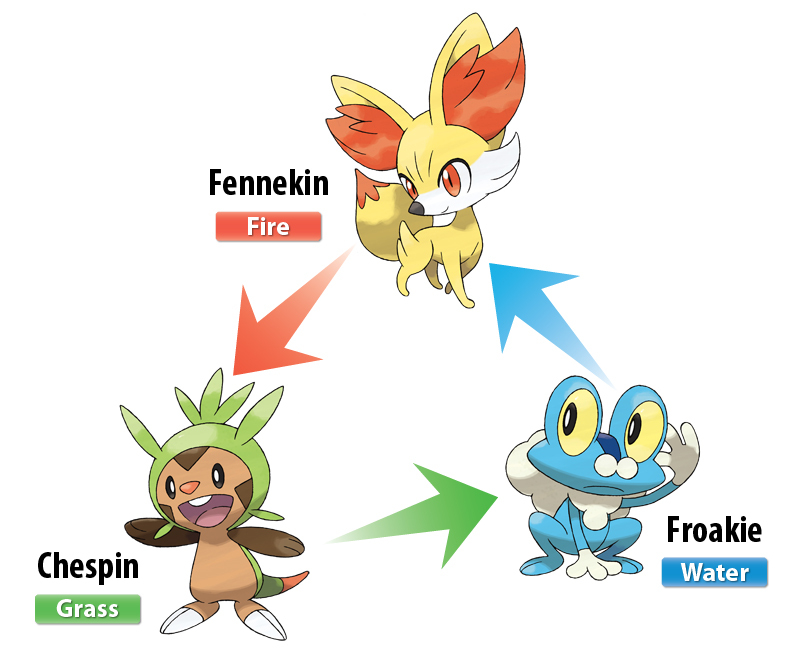 The new starters are Fennekin, Froakie and Chespin. They're fire, water and grass type Pokemon, respectively. Like all other Pokemon, their type greatly influences how they perform in combat. 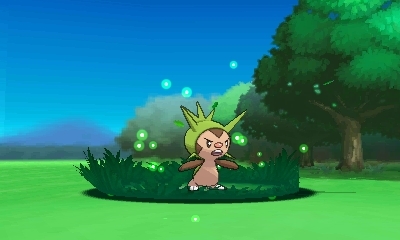 "Grass-type is strong against Water-type, but weak against Fire. 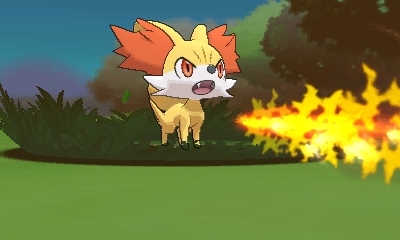 Fire-type is strong against Grass-type and weak against Water. 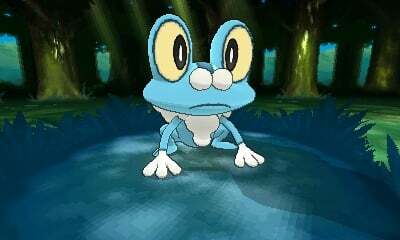 Water-type is strong against Fire-type Pokémon, but weak against Grass," said Game Freak. They included an infographic to drive home the point. Pokemon X and Y will hit the 3DS this fall. The new collection of Pokemon in each game will also include two legendaries.